The East Valley Parent Partnership Program has a new website. 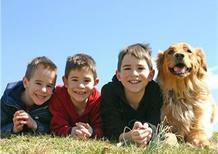 We are currently enrolling students for the 2013-14 school year in grades K-12. Please call Sue at 509-368-0452 or 292-2034 or Cindi at 241-5001. They will be able to answer all your questions and help you with the necessary paperwork. The classes and schedule currently posted on the website are for the 2012-2013 school year, just past. The new schedule of classes for the 2013-2014 school year will be posted some time in August. Stay posted! To reach Sue Bierce, program liaison during the summer months please use her land line phone number 1-509-292-2034. She does not get cell phone service at home, but is available through the summer to answer any questions or help with any problems you might have. If your child earned a ticket to Silverwood through the "Reading is the Ticket" program and you were not at the Year End Celebration to pick tickets up, please call Sue Bierce. Mark your calendars! We are set to move HomeLink North from Timberview to East Valley Middle School, Room 5 on June 13th. We will begin packing boxes no later than 9:00 AM, and the moving truck (with strong men) should be here between 12:30-1:00ish. They will haul the boxes to the truck. That should give us plenty of time to really pack up a lot. Please let Sue know if you can help. We can use all the help we can get! Onward and upward! CHEE Used Curriculum Fair 6/18 10am - 2pm at Mt. Spokane church. Backpack TV has a mission. They say, "Our mission is to help you do well in school. 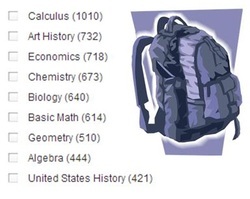 At Backpack TV, you can quickly find education videos to help you with math, science, and other academic subjects. Of course, success in school starts with paying attention in class and working hard outside of class, but when you need extra help, turn to Backpack.tv. Spend less time looking and more time learning." Want to practice by talking out loud rather than typing or clicking? Try the sister site, backpackpractice . Remember that backpackpractice only works on the Chrome browser. Miss Hunts classroom shares this sweet short mnemonic for remembering how to convert English units of measure for liquid volume. 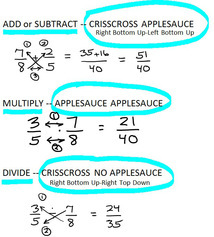 If students learn to draw this quickly from memory, they will have no trouble making conversions. 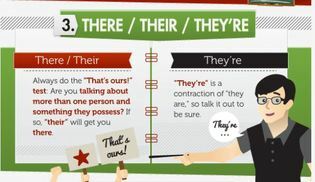 This is especially helpful for visual learners. This website, Learn Through Videos, contains a collection of links to educational videos helpful for understanding a variety of subjects, which are made for a general audience, such as documentary films. This site is a place where you can enjoy some time watching science videos, documentaries or lectures from colleges and universities around the world, reading the latest news, listening to radio, or learning foreign languages. Here is a blog that might help your student to remember which algorithm to use for the different operations for fractions. If your student needs a trick , you may find this helpful. This set of grammar infor-graphisc function as mini instructional posters to help students with some of the most common writing and grammar errors. It's all free so help yourself at this blog. Are you interested in some new writing prompts for creative writing? Check out those created by Luke Nef at Writing Prompts. They may or may not be a good fit for your child, but they are worth a look. 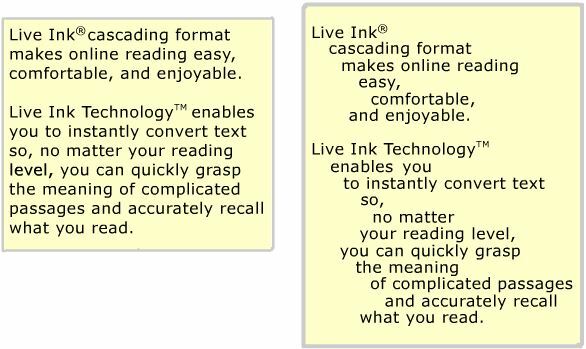 "ReadWorks Offers 1,000+ Reading Passages Aligned to Common Core Standards. ReadWorks is a free service that has cataloged hundreds of lesson plans and more than one thousand non-fiction reading passages aligned to Common Core standards. With a free ReadWorks account you can search for lessons and reading passages by grade and skill. In your account you can create digital binders of the lesson plans and reading passages that you want to use. " (FreeTech4Teachers"
Trapped! A spooky punctuation game! Trapped! Punctuation game from BBC - kids can have some ghostly fun while testing their punctuation skills. The students will read/listen to short stories with great vocabulary. They will drag and drop punctuation marks into the story to make it flow. Awesome Stories is a link site that allows users to access source information about films, famous trials, disasters, history and biography. This site is full of videos, slide shows, narrations, audio clips, documents, lesson plans and visual vocabulary. This is a great resource to use as part of the planning for a unit study or to supplement a topic when your children have a specific interest. Teach your monster to read: A free online beginning reading game. 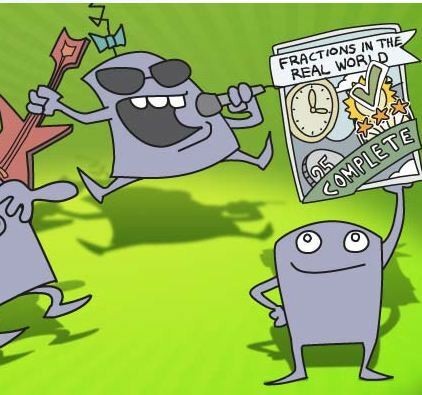 Teach Your Monster to Read (First Steps): Trailer from Teach Your Monster to Read on Vimeo. FreeTech4Teachers offers another great list of resources for learners. In their list of science video resources, we find the following:" The Spangler Effect videos offer longer (15 minutes or so) explanations of science experiments on their YouTube channel. Montana's 2011 Teacher of the Year Paul Anderson has uploaded more than 300 quality instructional videos at bozemanscience.com; The science animations on Learners TV are organized into three categories; biology, physics, and chemistry; ScienceFix is the blog and YouTube channel of middle school science teacher Darren Fix; MIT Engineering K-12 is a set of twenty-six videos in which MIT students explain and demonstrate things like gas pressure, gravity, Boyle's Law, and the shape of sound waves. MIT Physics Demonstrations is a playlist of 44 short demonstrations. The videos don't have narration, just the demonstration. The explanation of the principle demonstrated is found in the description below each video; NASA eClips is organized according to grade level with playlists intended for elementary school, middle school, and high school; Interactive Biology is a website offering a series of videos, quizzes, and study guides for biology students." Free Tech 4 Teachers has put together a nice list of video resources for Social Studies. They have links to ten different sites for each topic. These are great for supplementing a course or building a course and are arranged much like the science links above. Check it out! "Geography Drive USA is an iPad app that elementary and middle school students will enjoy using. The app challenges students to drive their virtual cars to each state in the United States. The students move from state to state by correctly answering questions about each state that they visit. 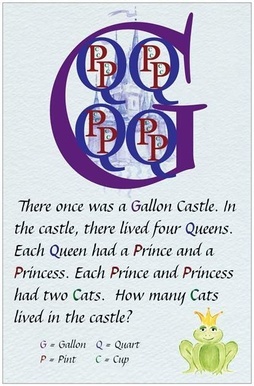 Students earn money for each correct answer. That money is then used to buy fuel for their cars and customize their cars. Students can also win trophies for accomplishments throughout the game. The game has more than 750 questions about state and national geography. Students will find questions about physical and political geography. There are some history questions mixed in too. I started playing Geography Drive USA this morning and had to force myself to put it down to write this post." The Creaza Cartoonist App for iPad allows users to record their voices directly in the app as they create cartoons with a variety of themes. 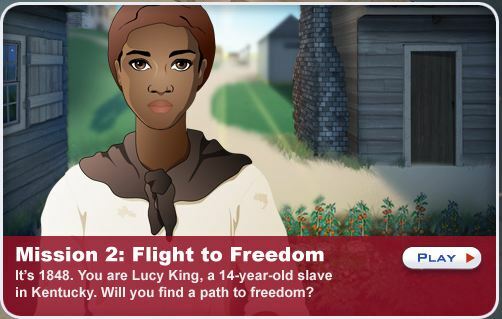 Students can narrate their stories by adding audio clips to each slide. In addition to the 20 built-in themes, students can purchase additional educationally relevant themes for $0.99 including: Roman Empire; World War II; Little Red Riding Hood; Middle Ages; Classic Cartoon;Three Billy Goats Gruff; Ancient Greece; Viking Age; Egypt; Classic Cartoon - Past; and Future Globe in which students work with climate, energy etc. in a futuristic perspective. 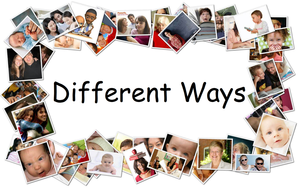 This site allows users to freely download and print inspirational educational posters. 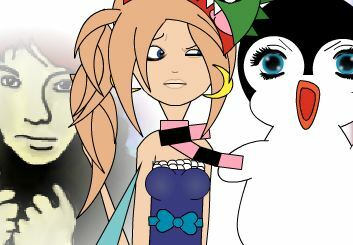 They can be used for decoration, bookmarks, writing prompts....anyway you like! All were made by a teacher who loves to inspire kids. this website: Click on the mouse below. This Facebook Page is the home for high school activities for students in parent-partnership programs in the Spokane area, grades 9-12 and sometimes 7-12. Check back often. These are parent led events, not connected to any particular school . Events are for the students in these programs only, and require RSVP and adequate parent supervision. 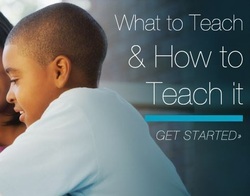 "PowerMyLearning.com is a free, web-based K-12 learning platform designed for students, educators, and parents. With PowerMyLearning, you can easily find and use over 1,600 of the best free digital learning activities from across the web to propel student achievement in all major subjects including math, English, science, social studies, and more. This site houses 1,600+ thoroughly vetted academic games, interactive simulations, and videos. A free account grants access to a world of smart and engaging resources. Easy-to-find activities are tagged by subject, grade, and Common Core Standards"
Learning can be Fun! Using the proven HeidiSongs method, even preschool age children can easily learn to identify numbers, shapes, and spell words just by listening to music! Music and movement are key to learning difficult to spell sight words, basic math concepts and phonics. Heidisongs multisensory music CD's and DVD's are used successfully in pre-K through 2nd grade classrooms nationwide and loved by teachers, parents and kids equally. (from the website) Many of their songs are available on free streaming videos. Membean is especially good for visual learners. Check out their example with the word "plethora." It provides guided, engaging, multi-modal vocabulary instruction while the Adaptive Reinforcement Engine helps students retain what they learn. It is a bit pricey, but it is an amazing tool. Whether working at grade level, focusing of roots, or getting ready for the SAT, Membean is a fabulous tool. Rhymenlearn is a site to explore if your kids love rap (some do, some don't). The site says that these raps are "Music That Puts The Cool Back In School". Rhyme ‘n Learn is math and science taught by mnemonics. 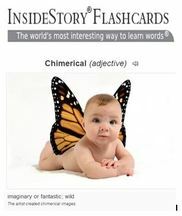 A mnemonic is a learning aid. 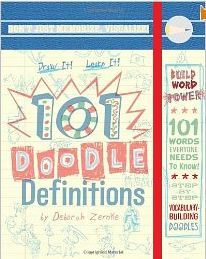 It uses word associations like rhymes so that a term or fact is easier to recall later. An example of a mnemonic is “In fourteen hundred ninety two Columbus sailed the ocean blue.” Rhyme ‘n Learn was created by Joe Ocando a teacher of math and science to students of all ages who discovered that many find it difficult to memorize hundreds of new terms and facts. He also found that rote learning is boring and not very effective for long term retention. (From the site) These raps are his answer to the problem. We now have access to the most comprehensive digital teaching resource available today through EVSD. 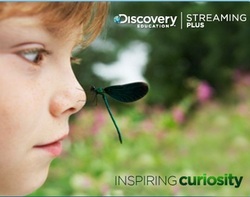 Discovery Education Streaming Plus features a collection of more than 160,000 of the newest learning objects, all designed for easy integration into a curriculum and correlated to state standards. Click on the grey button in the right-hand column to create an account for your family. "I loved discovering that I was a type, and that my quirks were part of my structure, rather than some failure to live up to the norm.....Which set of virtues can claim supremacy? The answer is simple – those that suit our family best. Valerie Bendt wrote, “We should not let the good things crowd out the best things.”..... None of us can be all things. We can’t simultaneously be the gregarious mother and the quiet, listening mother and the active mother and the reading mother. We must, for our own health and happiness, accept that there are many models of motherhood. We must accept the good we do embody, while finding a way to seek improvement in a way that does not devalue ourselves." Want to read more? Click here to go to "A Handmade Life"
Our school is now signed up for the Pizza Hut "Reading Is the Ticket!" program. This program is available to all K-6th grade students. Parents set a monthly reading goal for each student. 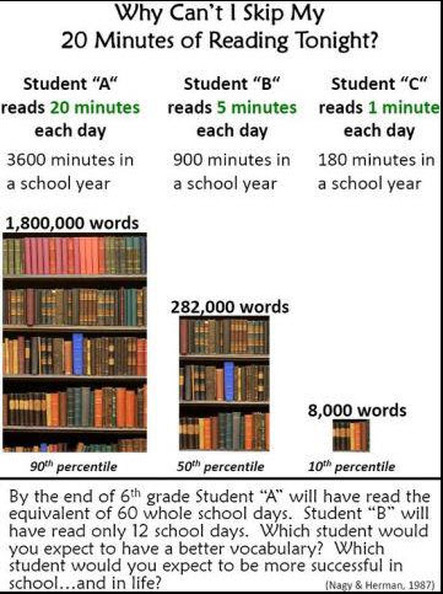 A goal can be minutes per day or week, a certain number of pages or books read, or whatever works for each individual student. Once students reaches their goals, they are rewarded with a personal pan pizza form Pizza Hut! See Sue Bierce to get your pizza coupons!! Sight word videos from Have Fun Teaching are for the very beginning reader. These videos are handy for students who struggle with phonics and need some basic sight words to begin to string sentences together. They are free, downloadable and provide the student with independent massed practice. Ludwig is an educational science game, that is so much fun, kids say they didn't notice that it was educational. It teaches students about different energy forms, using an alien/conservation perspective. Check it out by clicking on the picture on the left. 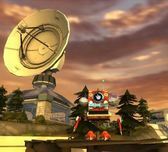 (All the information and pictures about this game came from www.edudemic.com. ) You can download it or order it on CD here. The online magazine, Edudemic, reviews 50 education technology tools that every teacher should know about. Visit their review and try some for your student today! ReadWorks provides over 500 non-fiction reading passages, each with 5 multiple choice questions aligned to essential skills and strategies that build your students' reading comprehension. For K-4 students, read aloud books are crucial in teaching reading comprehension. 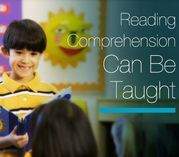 It is the only way for students to acquire more sophisticated vocabulary, background knowledge, and textual understanding, especially for those students who cannot yet read with fluency. Here is an overview of the developmental path of writers. Regardless of age, it helps to see where out students are currently and what the next steps are. Click on the image at right to see the continuum. You can also save and print it. DreamBox Learning has free online math activities, with intelligent adaptive learning environment keeps all students (K-4) in their optimal learning zone, increasing proficiency and academic success. This rigorous, research-based curriculum, tied to core-standards, builds conceptual understanding and fluency. wordQ+speakQ brilliantly and seamlessly integrates word prediction, text to speech, and voice recognition, providing a complete writing solution. wordQ will read aloud highlighted text in virtually any program. wordQ+speakQ can be trained to recognize the way students to say particular words so students can edit and proofread with confidence. This program is pricey, but worth every penny for the student who needs it. 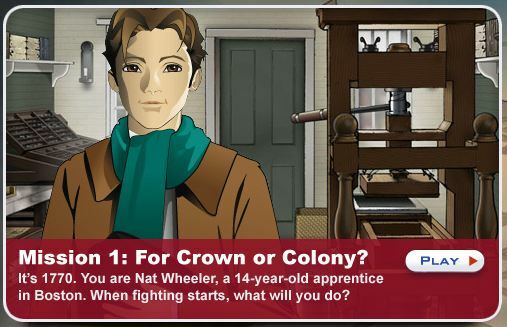 Mission 1: “For Crown or Colony?” puts players in in 1770 Boston. When rising tensions result in the Boston Massacre, they must choose where their loyalties lie.